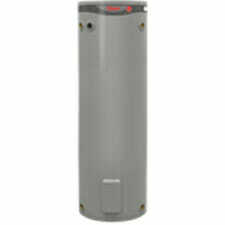 Here we have a Rinnai Hoflo 50 litre electric hot water heater for sale. *Additional element sizes available. Also available in 50 litre with plug in element sizes 1.8kw and 2.4kw. These need to be specially ordered so please phone to organise.